On 01/12/2018, at 2209 hours, the Arizona Department of Public Safety investigated a hit and run fatality collision involving a pedestrian on Interstate 10 (I-10) near the California state line. A pedestrian was struck in the number one traffic lane on westbound I-10 near mile post 19.1 in Quartzite, AZ. 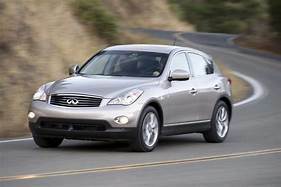 Parts of the run vehicle were located and recovered at the scene, which lead investigators to believe the vehicle is a 2013 silver Infinity EX37 crossover SUV. The vehicle initially stopped at the scene and the driver spoke with witnesses before fleeing prior to the arrival of responding police and EMS personnel. The run vehicle should be missing a mirror on the driver side (or severely damaged) and the front bumper should have damage, specifically on the driver side. The driver of the vehicle was described by witnesses at the scene as an Asian male in his 50s. Please contact Trooper Elliott Ness, #7850, with the Arizona Department of Public Safety if you have any information regarding this case.